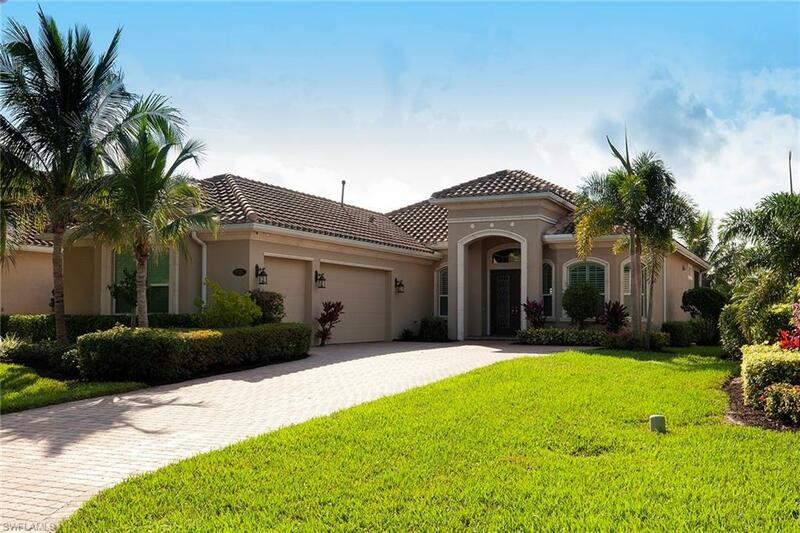 Beautiful long water southern exposure lake views, 3-car garage, extensive upgrades and an open, great room floor plan highlight this luxury residence. This three-bedroom plus study, 3 bath home boasts elegant appointments that include lush landscaping, private lanai with heated swimming pool and spa, pool bath, electric shutters, and an outdoor kitchen with refrigerator, sink and gas grill. The open kitchen features the popular flat-style island, French door refrigerator with icemaker, wine rack, wine cooler, large pantry, gas cooktop, stainless appliances, custom cabinetry and granite counters. 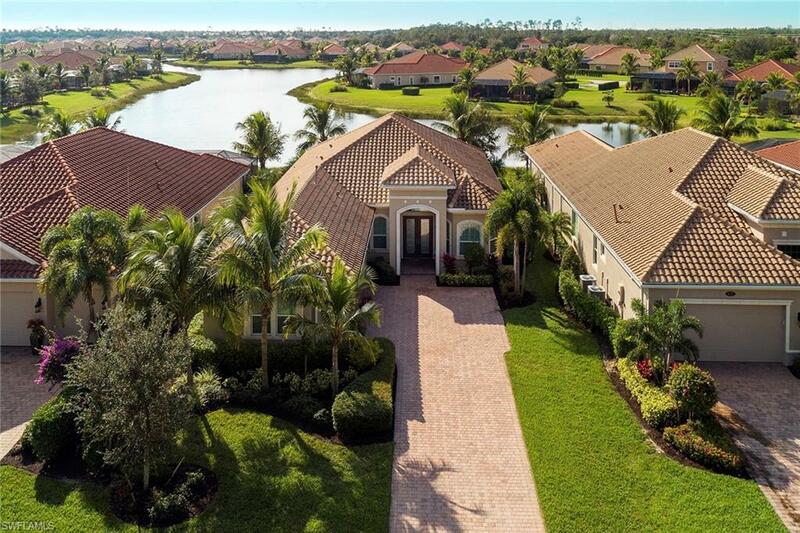 Crown molding, tray and coffered ceilings, plantation shutters, tile flooring and double glass entry doors and plentiful natural light make this the perfect house to call home. 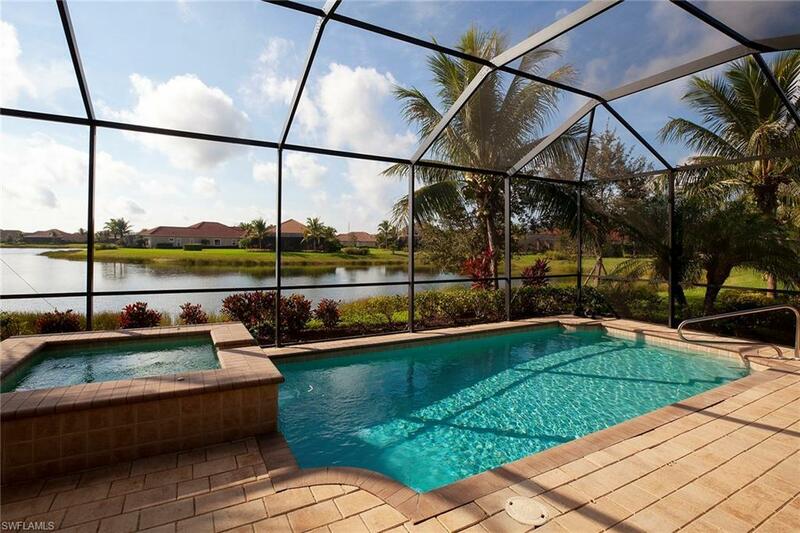 This spacious master suite has access to the lanai and includes a large custom walk-in closet. The master bath is complete with dual sinks, granite counters, soaking tub, large shower, custom mirrors, and private water closet. Two guest bedrooms with baths make this the perfect home for entertaining and family visits. 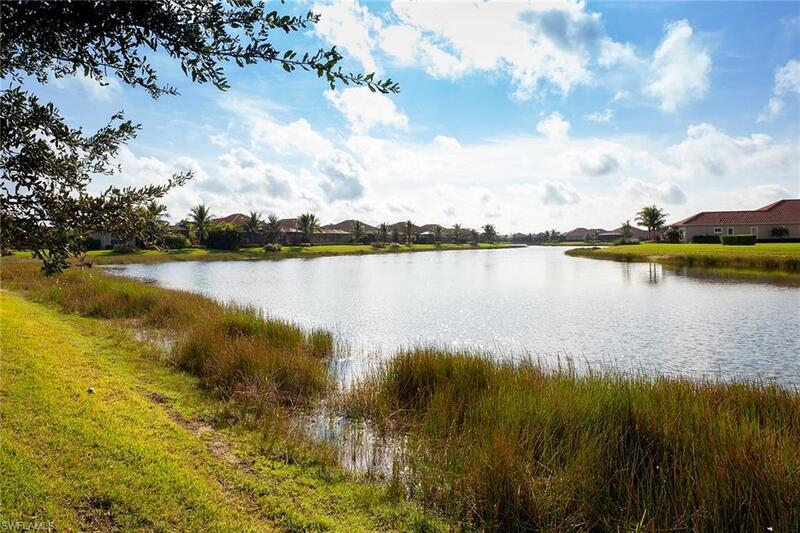 Extraordinary amenities in this exceptional community. Seller to pay off CDD balance at closing!